In my effort to add Mexican dishes to my blog, I am presenting my take on Ground Beef Quesadilla with Cheese. I have to say that Mexican cuisine is now taking the third place on my favorite food list, after Indian and Chinese cuisine. 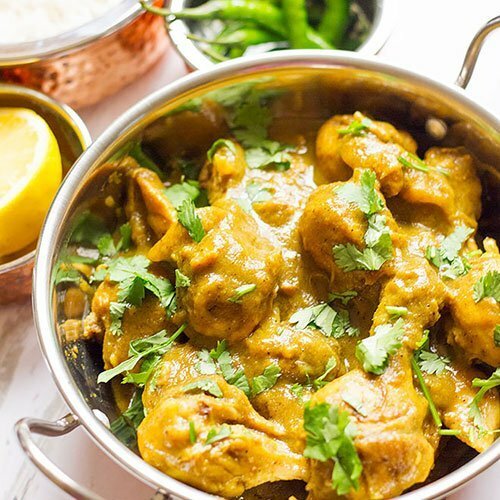 I like dishes that are spicy and have a great blend of spices and that’s why Indian cuisine rank the top on my list. Another reason why Ground Beef Quesadilla is a convenient dish is because, you can have it the next day and it will taste the same after warming it up, not only that, but it will not make a mess if you pack it in your lunchbox. 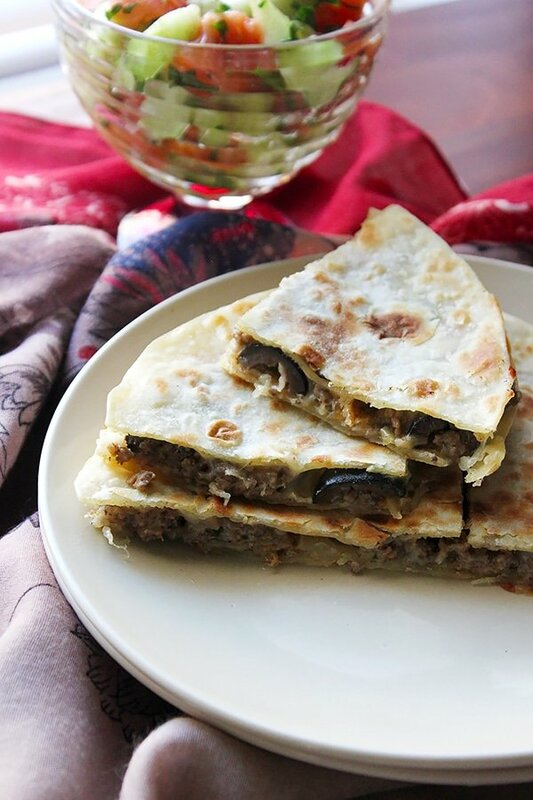 To make this delicious Ground Beef Quesadilla, you first need to make few Homemade Tortillas, and I can’t stress more on the fact that homemade tortillas are far much better than store bought. My recipe for Homemade Tortilla. 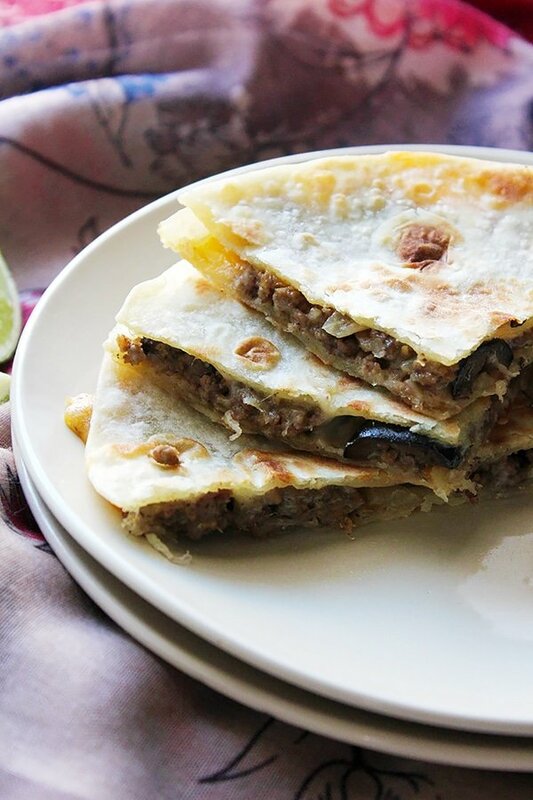 Ground Beef Quesadilla with Cheese, is a delicious Mexican delight. Crispy tortillas filled with melted cheese and juicy spiced beef. In a hot pan, add the beef and cook until it releases all the water. Add the onion and keep stirring until the onion is translucent. Add olive oil and rest of ingredients (except both cheeses and olives) and mix well. Cover and let it cook on medium low heat until the beef is cooked. 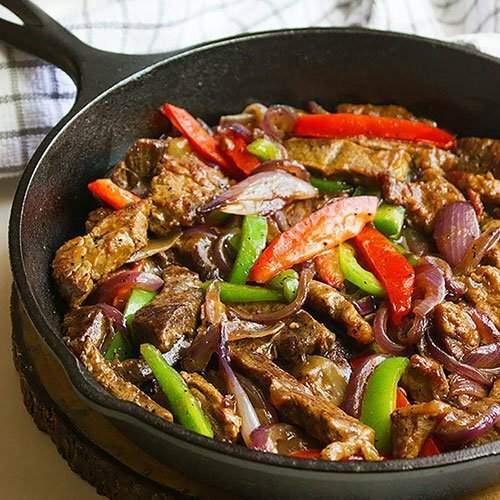 Stir every few minutes to avoid burning the beef. If you find the mixture too dry, add around half cup boiling water and let it cook until the water evaporates. Place few spoons from the cheddar cheese and mozzarella on the tortilla add the beef on top, and then add few olives. Add more cheddar and mozzarella cheese on top, and then add the second tortilla. Place on hot griddle or pan. Cook until the cheese melts and the bottom tortilla is lightly crisp. Flip and cook for almost two minutes. To me it tastes better than burger 🙂 .. I’m glad that I made you hungry, now you know how I feel when I visit your blog and see mouth watering clicks of your food! Such a quick easy and delicious looking dinner. Just what everyone seems to be looking for! Thanks Chris, hope you give it a try! 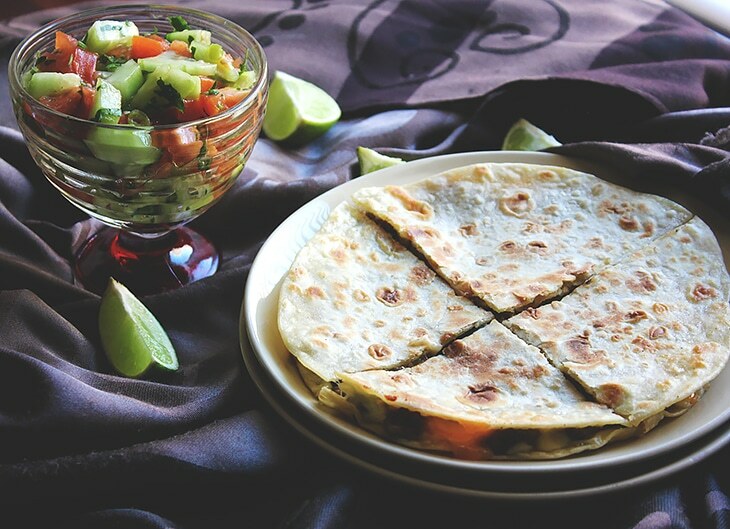 I wish my hubby ate cheese…these quesadillas look really delicious, Muna. This quesadilla looks delish! 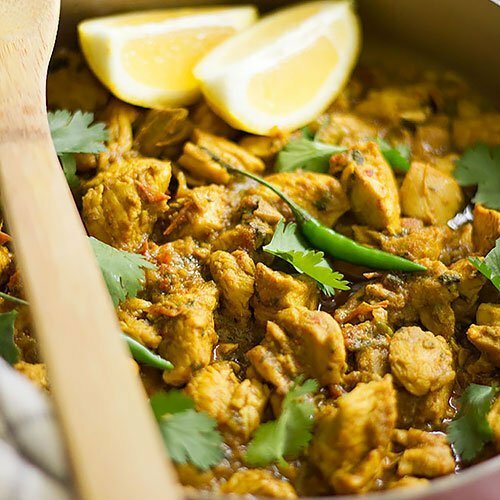 I love all those great spices and flavors you add to them! I love anything with cheese…and beef! Wow! This quesadilla looks really yummy! I make the cheese ones all the time. Never thought to add hamburger. Next time we will be kicking it up anotch with this recipe. This recipe sounds great , I’m always looking for quick and easy recipes to make and this fits the bill. I can make the beef on this weekend! Love that you used homemade tortillas! Yum city!! You make all the food that I really, really love. 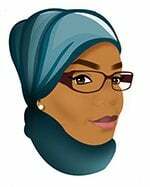 This is an amazing idea, and clicks are mouthwatering. YUM!!! I made this the other day and it was fantastic!